Here we are again: at the end of another year, reflecting on the best and worst times, and poised to leap forward. For those of you who know me personally and for long-time readers (I hope by now you feel like you know me as well!) you won’t be surprised to hear that I like to focus on the good. I am and have always been an eternal optimist, and for living a blessed life (no sarcastic hashtags needed), I am eternally grateful as well. There truly has been many joyful moments in 2017. And my favorite of all was marrying my best friend. This little blog has continued to bring me so much pride and opportunity. I’m very thankful to be able to chronicle my culinary adventures here, and to sprinkle in more travel and restaurant posts. This year, I published fewer posts, but more pictures. I ate more pasta. I went on bigger trips. I lived more. I went back to Japan for a memorable family vacation, where I ate my way through Osaka and wove through the bustling streets of Tokyo. 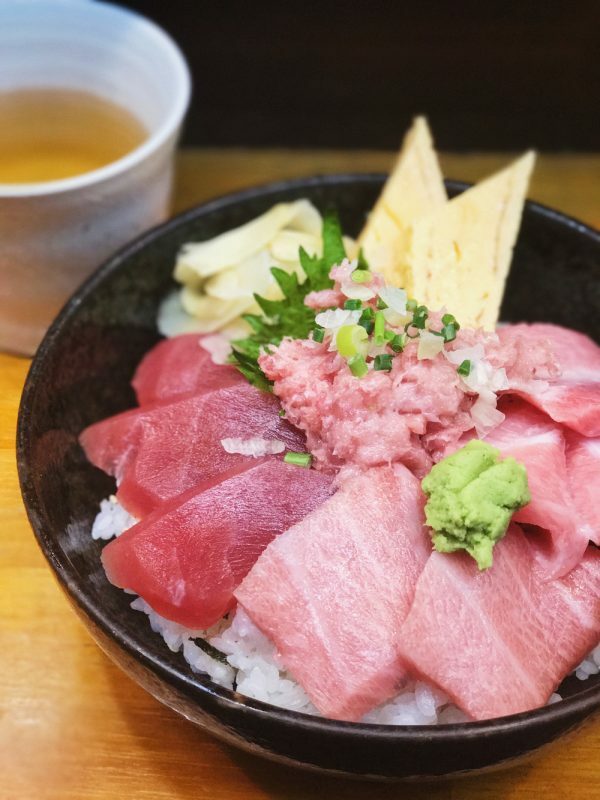 Re-reading those recaps – especially my post on the Tsukiji Market – temporarily transports me back to Japan, and I crave for more adventures (and toro bowls). My husband (!) 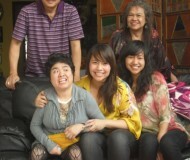 Matt went home with me to Manila for the first time and experienced Filipino warmth, food, and hospitality. 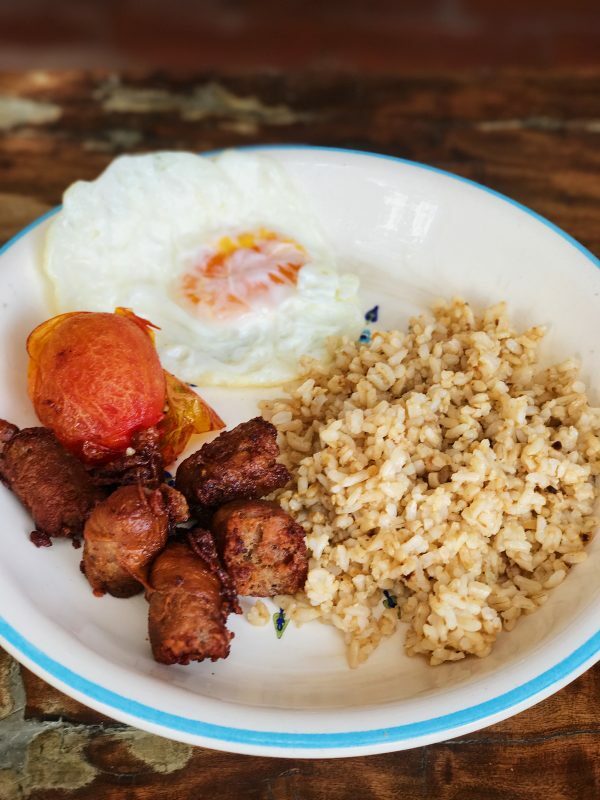 Of course he loved lechon (whole roasted pig) and my husband endeared himself to my family even more for his hearty appreciation of the traditional Filipino breakfast, like this longsilog – an amalgam for the words longganisa (breakfast sausage), sinangag (garlic fried rice), and itlog (egg). And speaking of Filipino food, this year I shared My Love for All Things Ube. 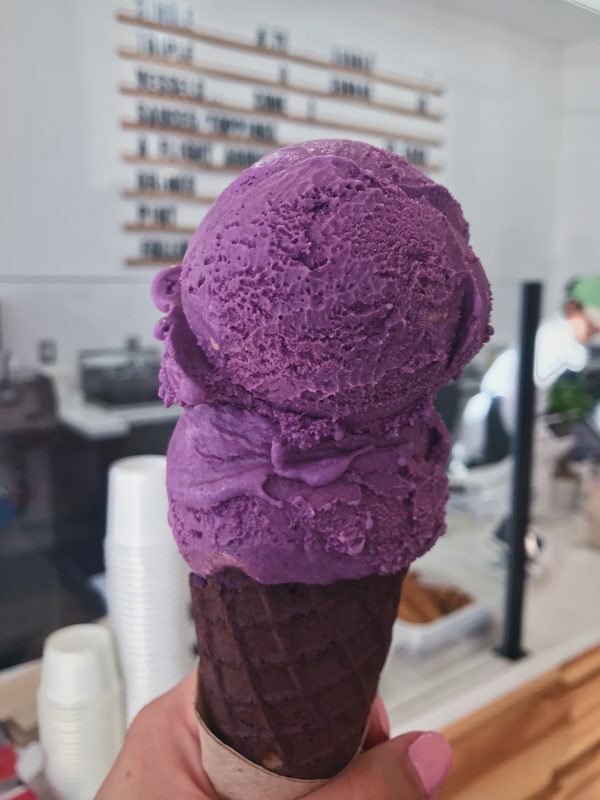 If you’ve seen pictures of vivid purple desserts all over Instagram, chances are it’s made with ube – the purple yam that’s a common dessert ingredient in the Philippines and Southeast Asia. 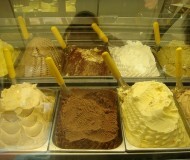 It’s the cake of my youth, the jam in my luggage, the ice cream of my dreams. I even made Ube Cheesecake Bars to combine two of my favorite desserts. 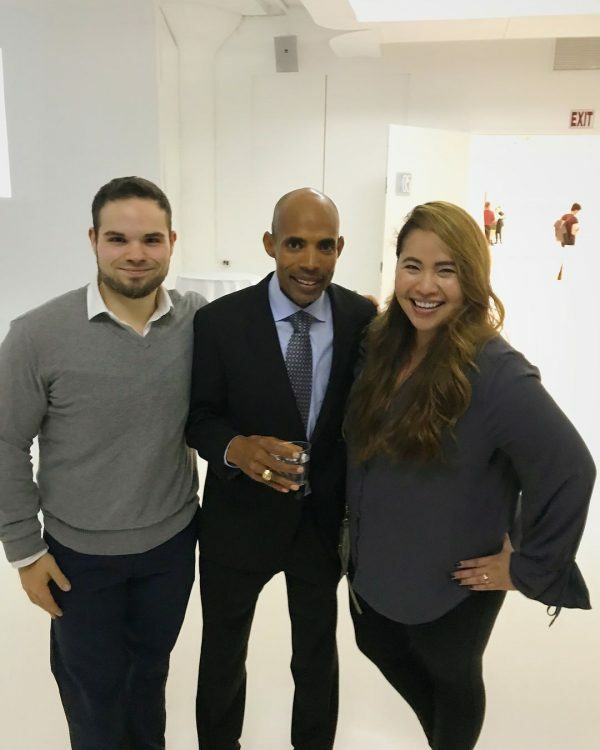 I also started BOSFilipinos with two of my friends, as our way of connecting the Filipino community to the Greater Boston Area through content and programming. We hosted a pop-up restaurant last September (I still can’t believe we were able to pull that off!) and I look forward to further supporting the Filipino Food Movement. 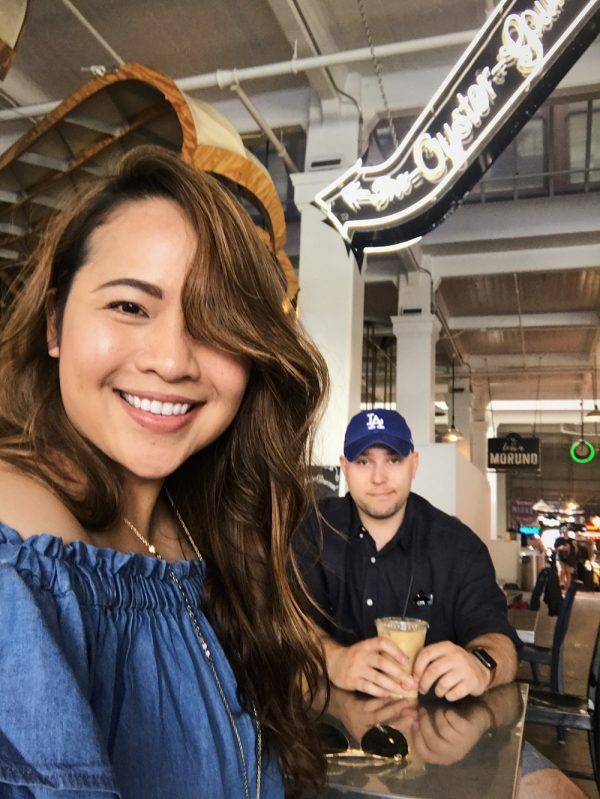 Matt and I went to Los Angeles and went crazy for Eggslut and the Grand Central Market. It was great seeing old friends in LA, and also catching a Dodgers game. One of my husband’s bucket list items is to catch a baseball game in every stadium – so we’ve been trying to plan our trips around games as well. 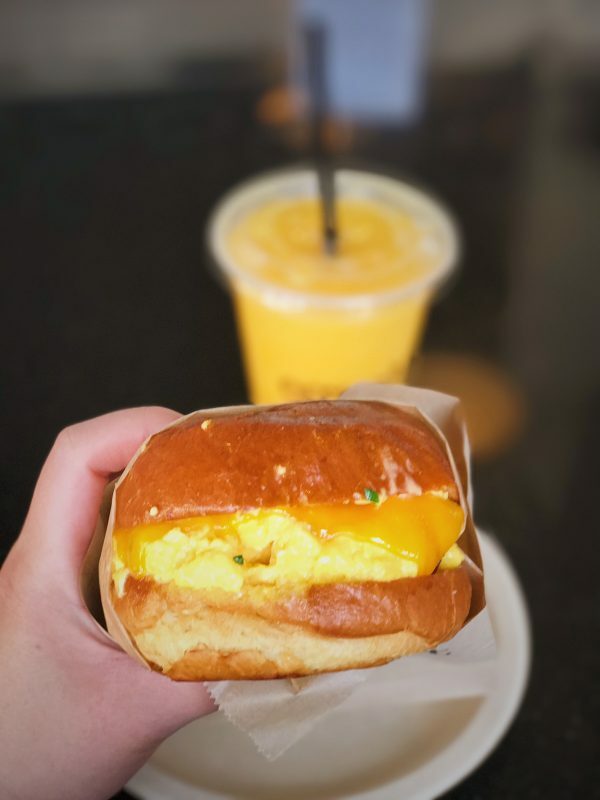 I loved the myriad of Filipino restaurants in LA, and I’m counting Eggslut there, since it’s owned by Filipino chef Alvin Cailan. 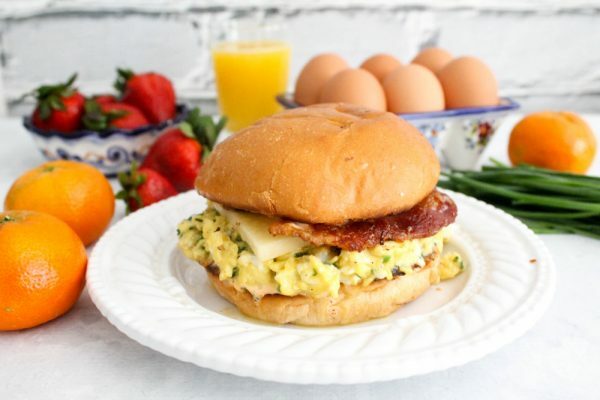 Of course because I loved it so much, I re-created my own Eggslut-Inspired Breakfast Sandwich. 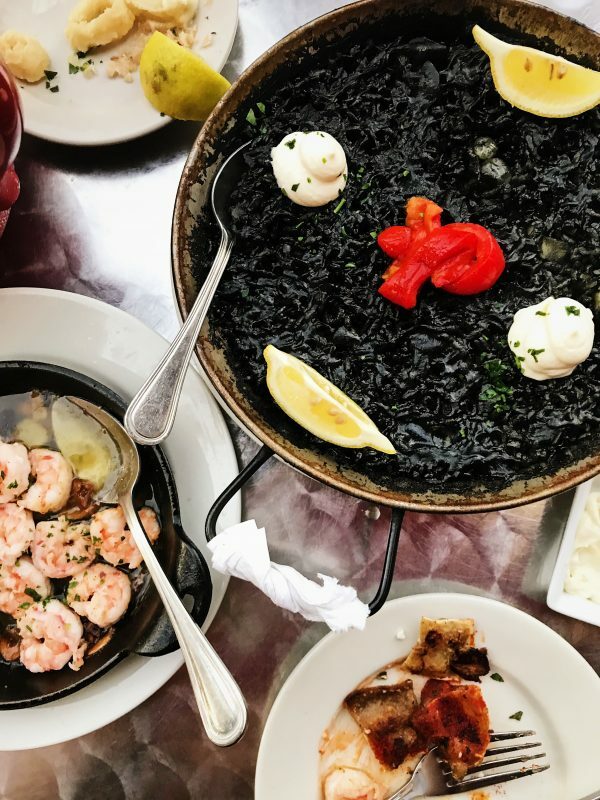 I started a new series called “Dish of the Week” – like this paella negra from Taberna de Haro in Brookline – which helped me spread the good word about some of my favorite restaurants in Boston and all over the US, like the crullers from Lil’s in Maine, agnolotti from Maple & Ash in Chicago, and the kouign amman from B Patisserie in San Francisco. I went to New York City a few times for work, but Matt and I also did a couple of short trips as quick vacations. 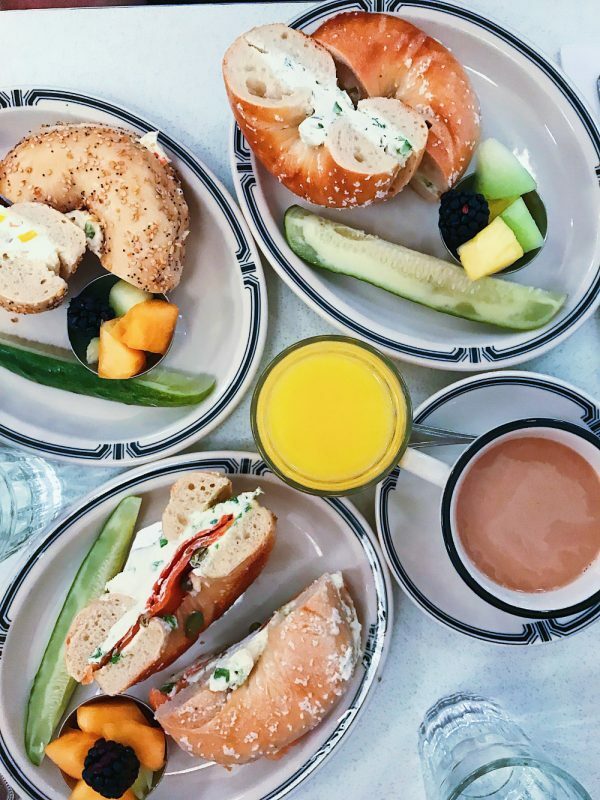 As always, I ate plenty of bagels and other delicious meals. We went to Kansas City to catch a Royals game and eat some mouth-watering barbecue. 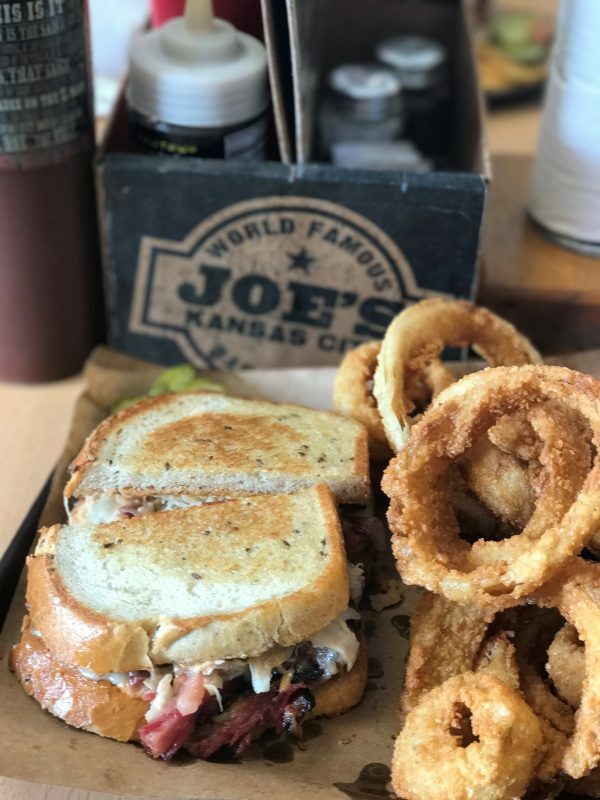 BBQ is a way of life there and my favorite was Joe’s Kansas City which is located in a corner gas station. That’s right, a gas station restaurant! We also went to Charlottesville, VA to visit our friends Anthony and Sean. 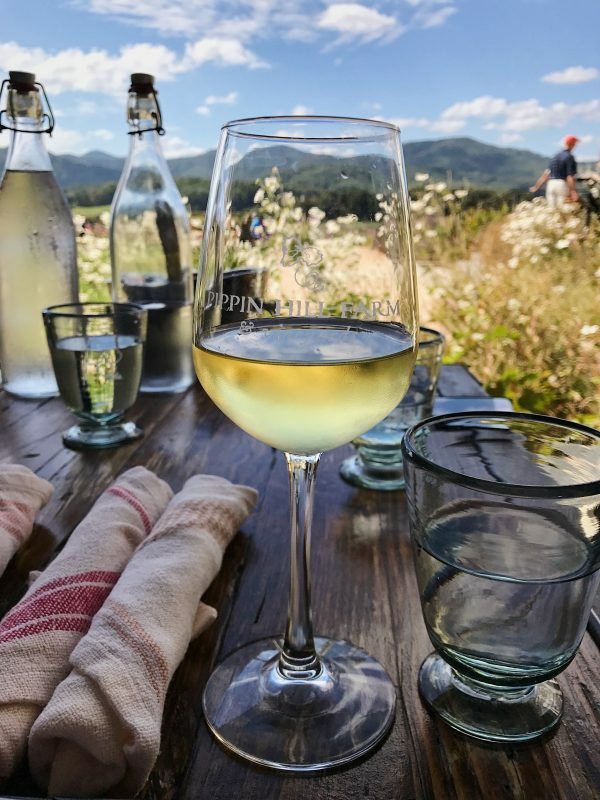 We very much enjoyed our time there, especially the wine, food, and views of Pippin Hill Winery. To close out the year, Matt and I headed back to Portland, Maine. 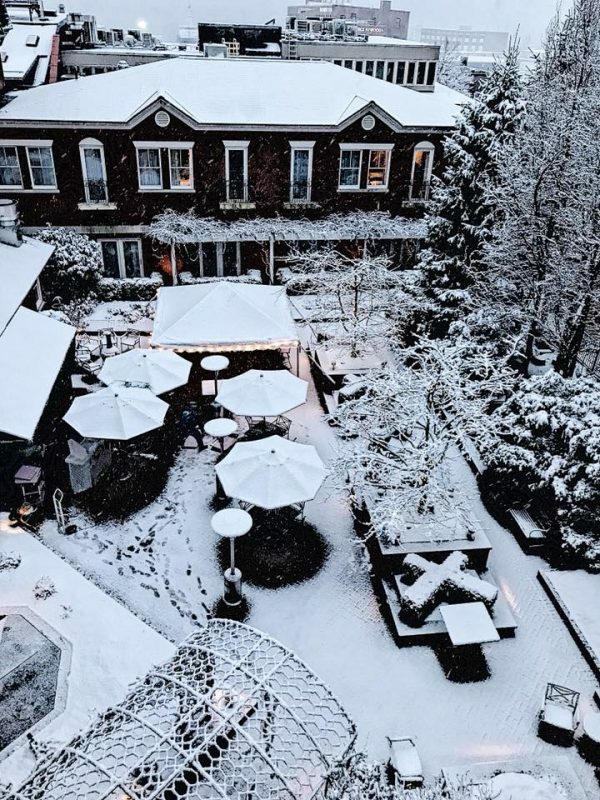 We luxuriated in beautiful winter wonderland views and ate lobster and chocolates. This is my family and me walking to church for our morning wedding ceremony. We had a very small and simple wedding, and went straight to a brunch reception at Alden & Harlow. 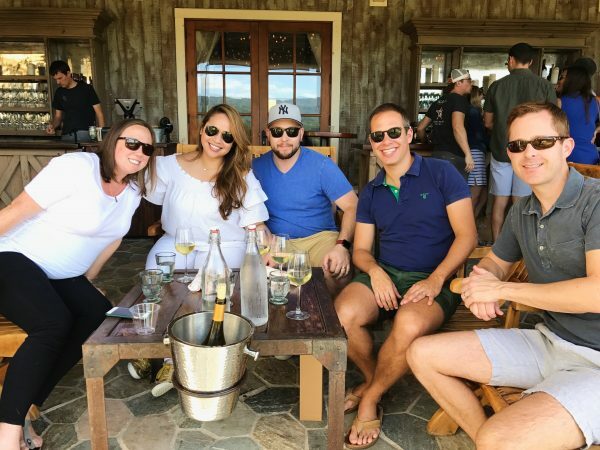 We didn’t have groomsmen or bridesmaids (my Maid of Honor was my sister Patty and Matt’s Best Man was his brother Michael), we didn’t have dancing nor a DJ (but the brunch tunes at Alden & Harlow are always on point), we didn’t have a grand lavish celebration. But to me it was pretty spectacular. 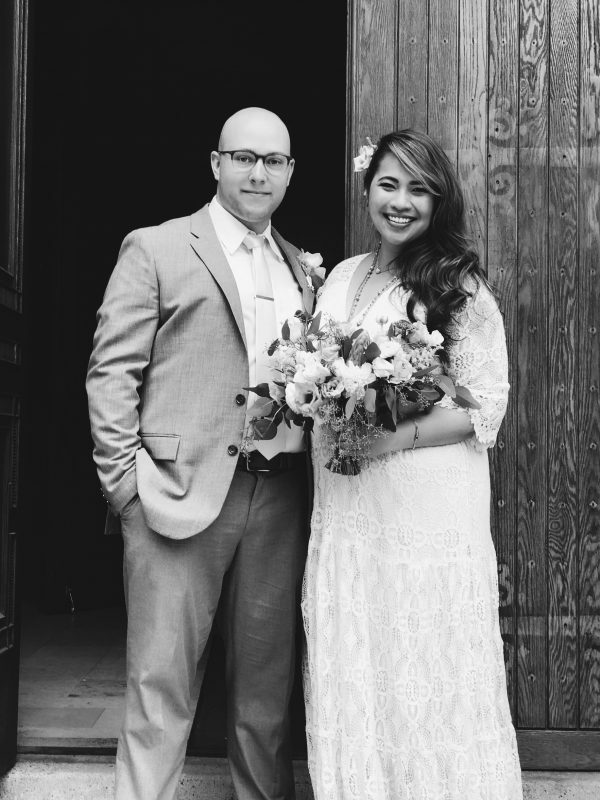 I loved my bohemian-inspired lace dress from Kite & Butterfly. 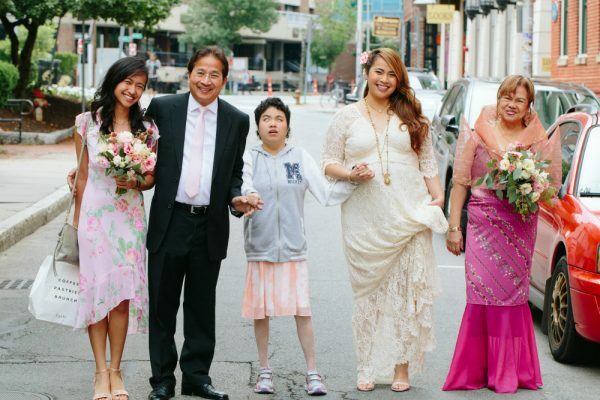 I loved that my mom and sisters all wore various pink floral dresses (check out my mom’s Filipiniana couture top, and Monica’s trusty pair of sneakers and her favorite Mickey Mouse hoodie). I loved that my dad sported a pink tie (he matched with Matt, Matt’s dad, and Matt’s brother). I loved that my groom teared up as I was walking down the aisle, and that we were surrounded with so much happiness. 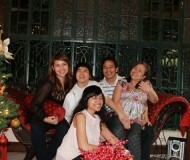 It was such an intimate affair with our immediate families and some dear friends, and I loved everything about it. 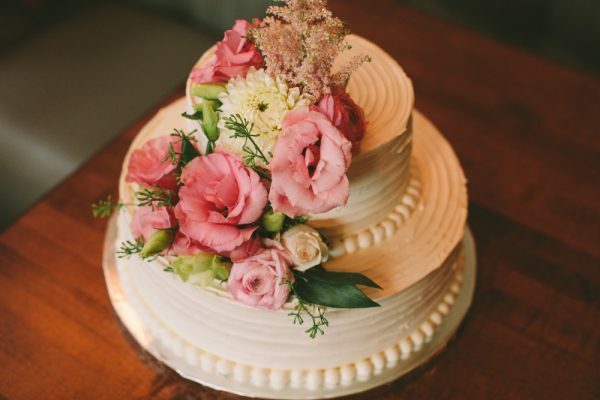 And of course we had cake: carrot cake from Flour Bakery, decorated with flowers from our florist Claudia Lapena. I hope your 2018 is filled with good health, good luck, and plenty of adventures! 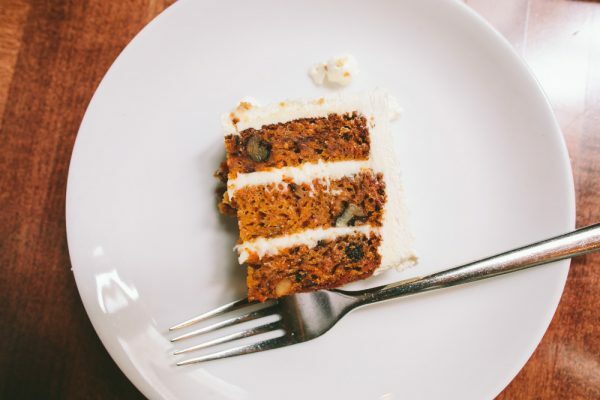 And cake, always cake. What a year! “I posted less, but I lived more.” I love that. Cheers to the newlyweds and an epic 2018! What a beautiful, love, food, travel filled year. the best kind! Happy 2018! oh my gash, i love this post! seeing your family…and hubby!…makes me feel like i’ve entered into your living room and scrolled through the album on your coffee table! beautiful wedding dress! Awww thanks so much, Blonde! I’m so happy we are connected now!